BMW Yes Yes Must log vehicle into Owner's Circle. Some newer models unavailable. Buick No Yes 1993-present. Must have a Yahoo ID to log in. Cadillac No Yes 1993-present. Must have a Yahoo ID to log in. Chevrolet No Yes 1993-present. Must have a Yahoo ID to log in. GMC No Yes 1993-present. Must have a Yahoo ID to log in. Hummer No Yes 2003-present. Only H2 and H3 models. Must have a Yahoo ID to log in. Hyundai Yes Yes 2003-present. Requires login. Infiniti No Yes Only 2007-present available online. Infiniti Q has 2005 and 2006. Kia No No Register. For current model years, look under "Glove Box Materials." For prior years, purchase owner and service manuals through your local Kia dealership or call DDS Publications at (866) 542-6268. Land Rover No Yes Register, then click "View Owner Info" at top. Lexus Yes No Register, then click "Search Owner's Manual"
Mazda No Yes 2002-present models. Login required. Mitsubishi No No Purchase owners' manuals through Helm, Inc.
Oldsmobile No Yes 1993-2004. Must have a Yahoo ID to login. Pontiac No Yes 1993-present. Must have a Yahoo ID to login. Saab No Yes 1993-present. Must have a Yahoo ID to login. Saturn No Yes 1993-present. Must have a Yahoo ID to login. 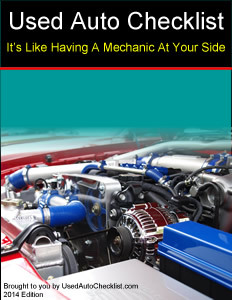 Other resources for car owner's manuals can be found HERE.